For the most part I would say I eat healthy, but if there is one weakness I have it is sugar. So, in general if I am going to eat healthy, I usually allow myself the pleasure of a “real”, no healthy substitutes dessert. I figure you have to live a little, and I’d like to experience mine through a cookie or a cake. So I will not pretend this recipe doesn’t have any real butter, white sugar or sweetened coconut. This is why it tasted so divine. Seriously, I think I could hear the angels of dessert heaven singing when I took my first bite. Hope everyone has a wonderful weekend. Go ahead and make something fun to eat and enjoy every bite. 1. Preheat oven to 375°. 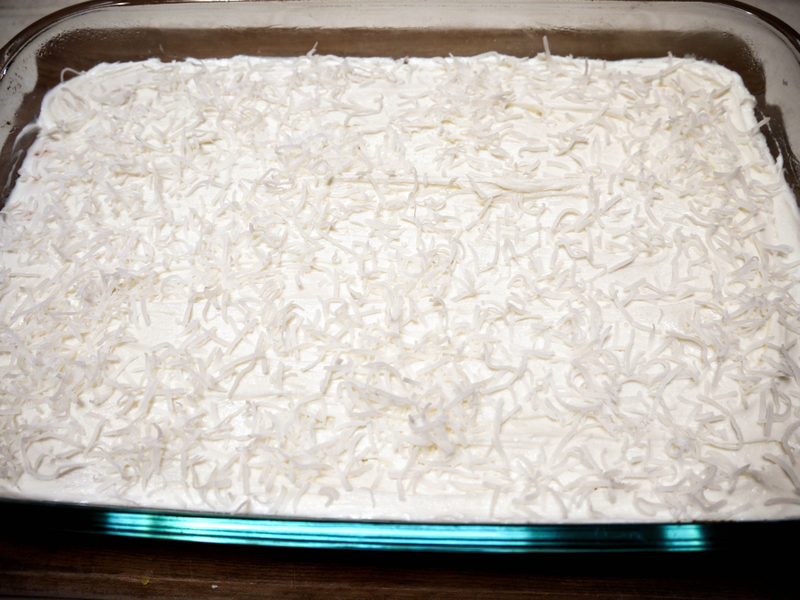 Spray 13×9 baking dish with nonstick cooking spray and set aside. 2. Place 1/2 cup shredded coconut into food processor, process until coconut finely ground (about 2 minutes on high). 3. 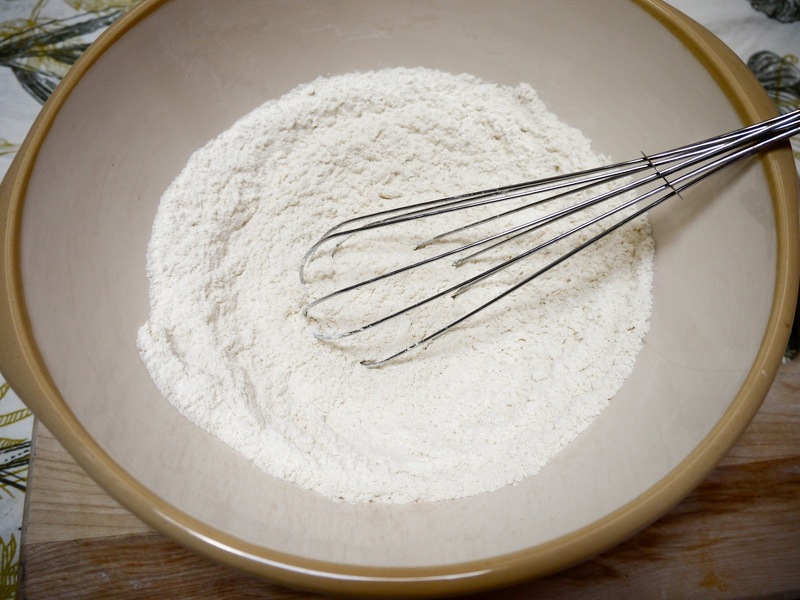 In a medium mixing bowl, whisk together flour, baking powder and salt. Add ground coconut to flour mixture, mix well and set aside. 4. In another medium mixing bowl, place butter and sugar. Using electric mixer, beat mixture until fluffy. 5. Add egg, egg white, vanilla, coconut milk and sour cream, mix until thoroughly blended. 6. Slowly add in flour mixture and mix until combined. 7. 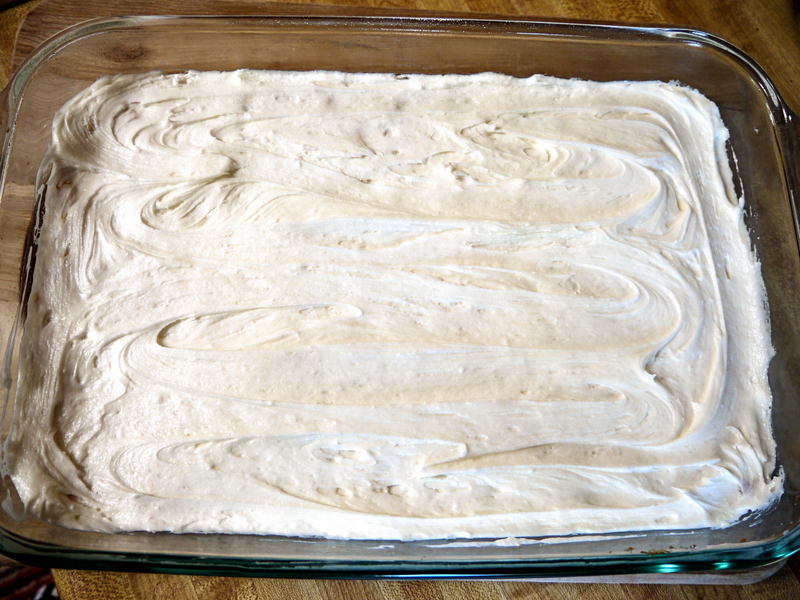 Place batter into pre-sprayed baking dish. Spray hands with nonstick cooking spray and gently press dough into and even layer. 8. 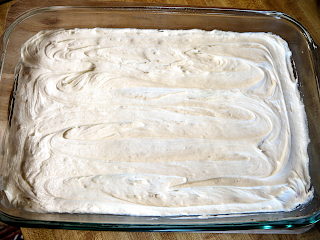 Bake for 18-20 minutes or until edges are lightly golden. 10. 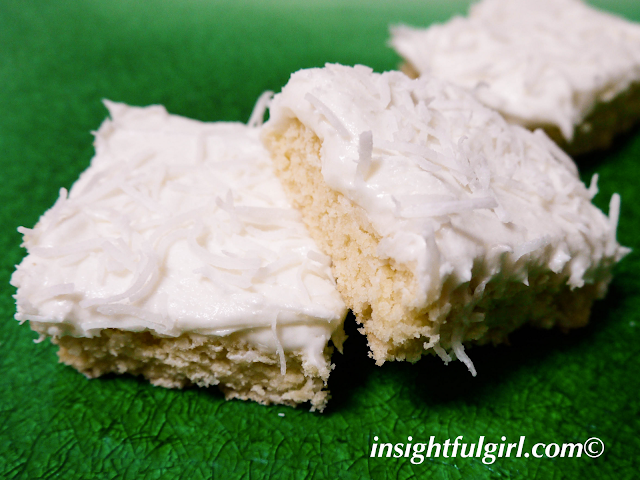 Frost with Coconut Butter Cream Frosting. 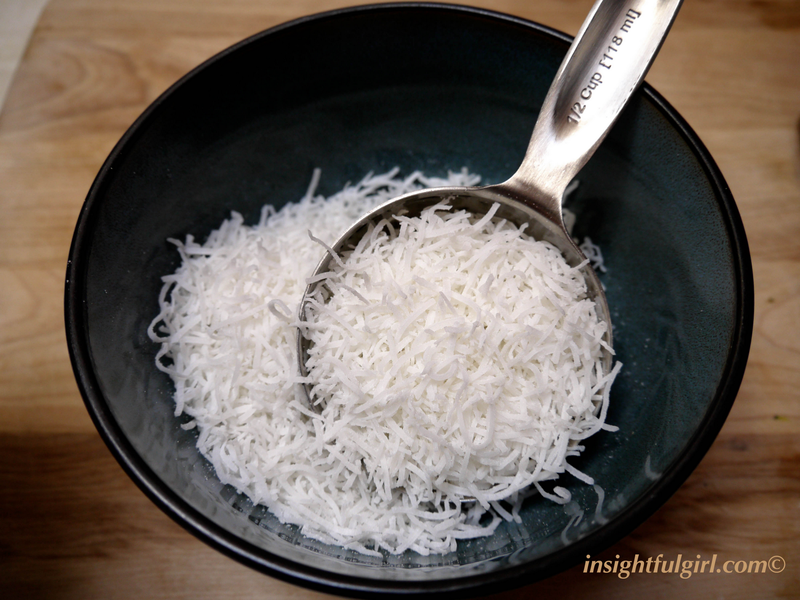 Then if desired sprinkle with additional shredded coconut. 11. Cut into serving size squares and store in airtight container. Combine all ingredients for frosting in large mixing bowl. 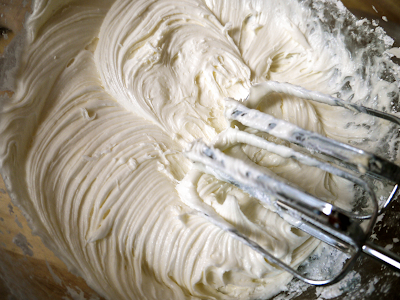 Using an electric mixer, whip together until mixture is smooth and fluffy. 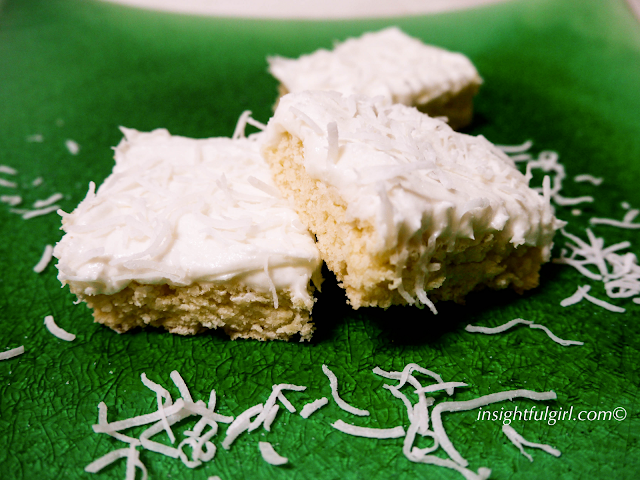 This entry was posted in Bars, Desserts on September 21, 2012 by Genoa11.